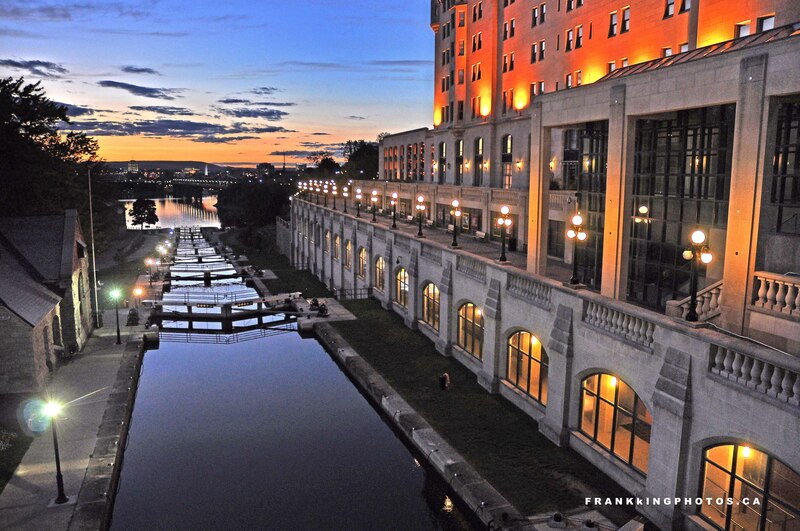 At the time (2012), I was having a tremendous amount of difficulties with my camera — I would replace it just a few months later — so it took a lot of processing work to make this gorgeous scene, in Canada’s capital city, presentable. The canal, which opened in 1832, stretches about 200 kilometres between Ottawa and Lake Ontario/St. Lawrence River. Built primarily as a precaution in case of war with the United States, it is now used primarily for pleasure boating. Very nicely composed, Frank. I love the way the orange in the sky is carried over to the windows and building. This is absolutely gorgeous, Frank. Well done.